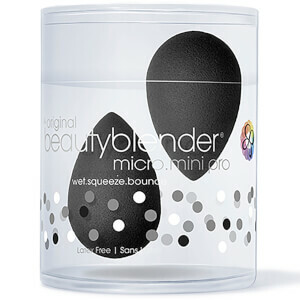 Create a flawless canvas with the Beautyblender Power Pocket Dual Sided Powder Puff, a multi-tasking makeup applicator that applies and blends powder products for an airbrushed appearance. Easy to use, the double-sided powder puff has been perfectly sized and shaped for maximum precision and flawlessness. 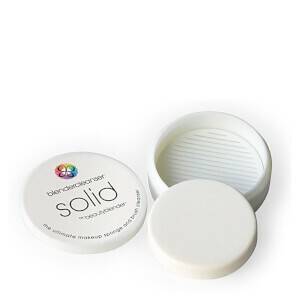 The teardrop design deposits the perfect amount of powder when setting and baking makeup, and its handy finger pocket ensures ultimate control when smoothing and blending product onto skin. Designed to expertly apply and touch-up your powder, the plush pink side is perfect for setting makeup in place, while the tan buffed suede re-blends makeup for a smooth and seamless finish. Also features a stretchy, interchangeable finger band for versatility. Deposit powder with the plush pink side to set and bake makeup. Re-blend and touch-up using the tan buffed suede side. Target contours of the face with the narrow tip, insert fingers into the pocket for further precision. Rest hands on puff during application to prevent makeup from smudging. Use the finger band for all over application ease or slide fingers into the pocket for more precision. Please hand wash only. Tip: Instead of laying fingers on the face during makeup application, use the puff as a hand guard, preventing makeup from smudging.